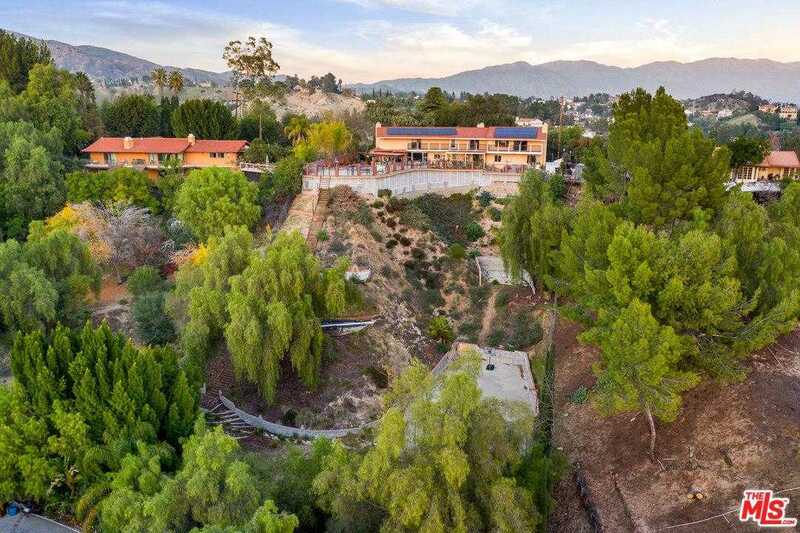 Sophisticated Granada Hills estate situated on an expansive lot for second structure. With remarkable potential, endless vistas and solar panels, you won’t want to miss this opportunity! Relish awe-inspiring views in the resort-like backyard boasting a spacious pool, spa, kitchen and grand patio for dining or lounging al fresco under multiple pergolas. In coveted Granada Hills High School Charter, move-in today and cherish the home’s current charm or develop and make your own! The property was recently appraised at $1,300,000. Building size: 3480 sq ft.